Filled with mountains, coast, and beaches, Taormina is a highlight of Sicily tour packages. It is a hilltop town of Sicily overlooking the seas and surrounding areas.With a history that can be traced back to the ancient Greeks, the whole island is a historical heaven as well. Discover Ancient Places in Your Taormina Tour. Getting into Taormina is fairly easy as there is a number of international airports located in the island of Sicily. There are six main airports and several smaller airstrips catering to local general aviation. All these airports serve upwards of 13,000,000 passengers annually. Catania Airport followed by Palermo-Punta Raisi Airport, Trapani-Birgi Airport, and Comiso Airport. All these airports are some kilometers away from Taormina. Taxi Taormina services are available at any point in time and you have no trouble getting around. If you prefer to enter the island via the sea, you can do so as there are a number of ports, the major one being at Catania. The whole island of Sicily is mainly about mountains aside from the seductive beaches and stunning coastal belt. The highest of all the mountains, Mount Etna, is what dwarfs all other mountains in Sicily and dominates the eastern side of the island. But Sicily has three major mountain chains aside from Mount Etna . The mountain tops are covered by snow while the lower elevations are characterized by forests and rocky slopes. This creates a mesmerizing hillside setting for one to stroll around and explore. Built in the third century BC, the Ancient Theatre of Taormina is built by the Greeks and serves as among the most important features for tourists. After the Greeks built it, it was expanded and renovated by the Romans who used it for organizing shows, plays etc. It is an open air theatre located in Taormina offering splendid view of the Calabrian Coast, the Ionian coast of Sicily, and spectacular cone of Etna. Also known as the Botanic Gardens of Taormina, these gardens are perched on the cliff near the amphitheater . Mount Etna . Sitting in the benches, one can get a clear view of the sea . It is an excellent picnic both for tourists and locals. Isola Bella has one of the most enchanting beaches of Sicily and is an islet located near Taormina .It is caratterizzata by white pebbles and sand along with lush green vegetation bordering the Ionian Sea .The islet has since 1900 Been turned into a nature reserve and administered by WWF for Nature. Alfredo James Pacino who is a famous American actor has ancestors from Sicily, especially Savoca .He is very popular in both Sicily and Italy . If you can deliver some lines from his movies, you can expect some better hospitality. A variety of fruits are locally cultivated in Sicily in the gardens with the exception of pineapple and bananas. Granita is a semi-frozen dessert which hails from Sicily. It is made of sugar, water, and various other flavoring, and can include fresh fruits as toppings. Varieties of it can be found throughout Sicily. The mountain ranges are famous for the production of cheese, sausages, mushrooms, island tomatoes, courgettes, olives, broad beans, aromatic herbs and seafood. You can try dishes prepared from these ingredients at any local restaurant. 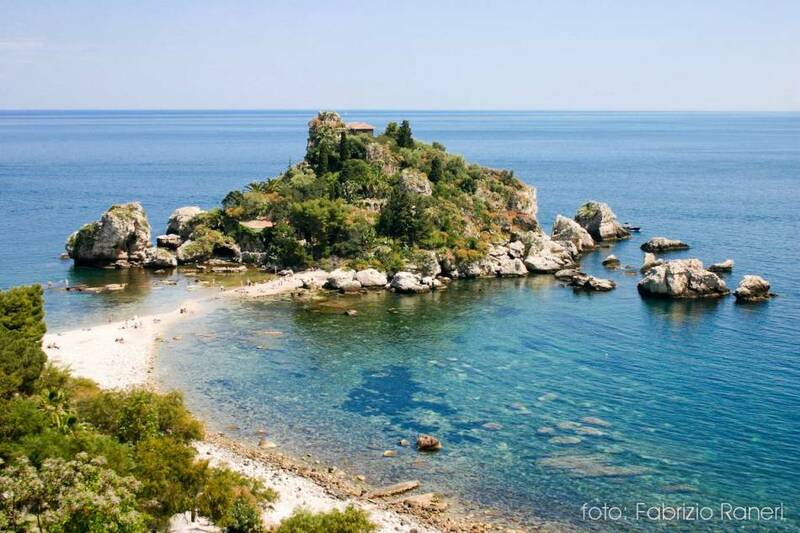 Taormina is indeed a traveler especially for those with deep interest in nature and historical monuments. It is quite normal to get tempted and overwhelmed. But things can get much better if planned properly. For Tours To Taormina Taxi Taormina services, contact New Travel Services today!